Swim team season has started for me once again. After work a few days a week, and one day over the weekend I help coach some of Arlington’s finest swimmers at the Boys & Girls Club. The start of swim team is exciting. It marks the return of old friends you haven’t seen all summer, the return of smelling like chlorine all the time, and the return of outdoor adventures with the head coach Mr. D! 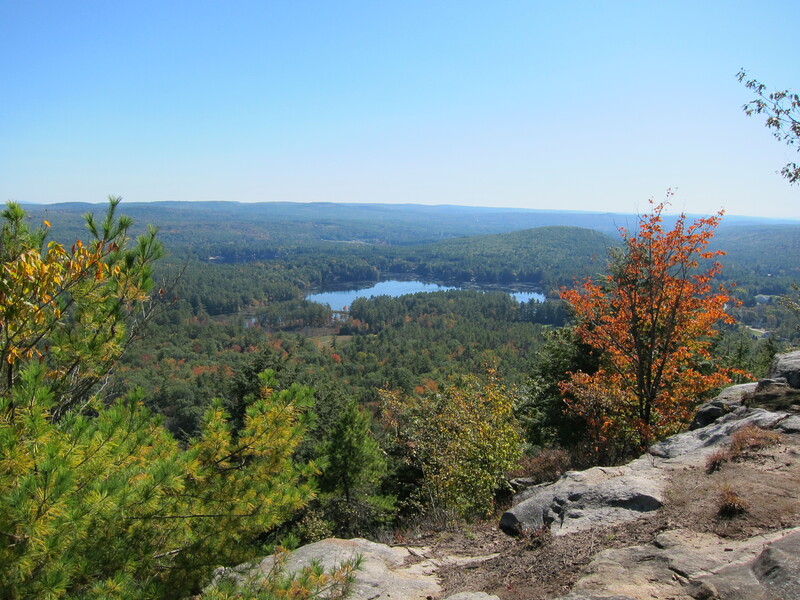 A couple Sunday’s ago Mr. D invited a bunch of us to go on a hike up Tully Mountain. The description of the day was “Meet at 10am. Pack a lunch. Home by dinner.” He’s a man of few words, but that’s what makes his trips exciting. You never know what’s going to happen haha. Since it had been kinda cool out, I decided to go with a chicken salad sandwich figuring it would be pretty safe. Of course after I bought all the ingredients and made it, the temp skyrocketed to the mid-80s. Cautiously I threw in a few ice packs and that seemed to do the job =). I loved the flavor of the rotisserie chicken and the crunch of the pecans and celery. Sometimes I find chicken salad a little boring, but definitely not this one! Pull all of the usable meat of the rotisserie chicken. Every time I do this I hate the process, but flavor of the chicken is totally worth it. Add chicken, pecan pieces, grapes, and celery in a large bowl. In a separate small bowl, mix together mayo, yogurt, vinegar, honey, poppy seeds, salt, and pepper. 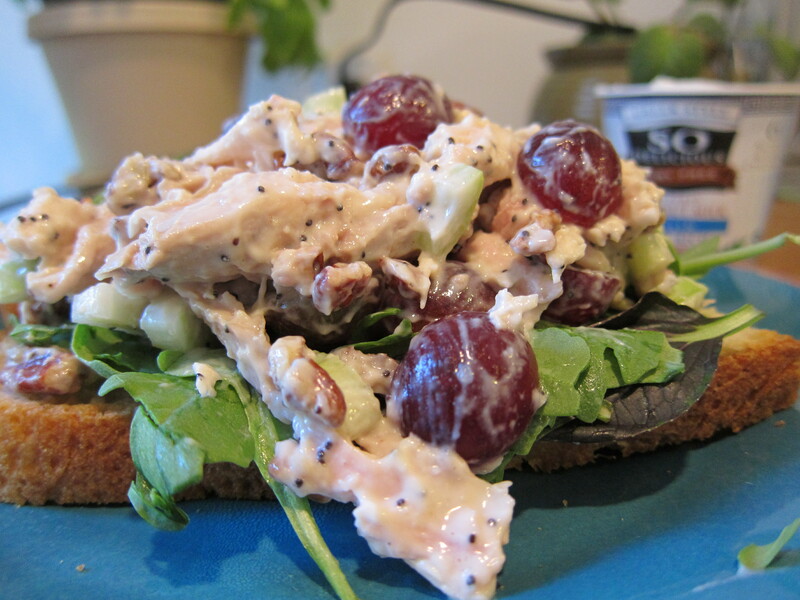 Using yogurt in chicken salad is an idea I borrowed from my Grandmaman to cut down on fat and sodium. She goes all in with the yogurt but I still wanted a little bit of the mayo taste. Pour dressing into chicken and stir until well mixed. Slice focaccia and put together with chicken salad and arugula. View from the top of the mountain! ooo I like the idea of poppy seeds in there!